JC’s Top 10 of 2011! 10. Primus – Antipop: Finally we are given a record from Les and Company that sounds a lot like the music they used to put out. Antipop is a mix of Frizzle Fry and the Brown Album mixed into one glorious auditory love fest. With Primus’ signature bass heavy tracks this is one of my favorite Primus albums in a very long time. Do yourself a favor. 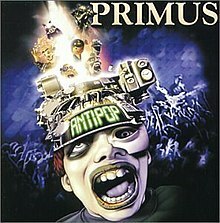 If you are a Primus fan, this is a must own! 9. The Airborne Toxic Event – All At Once: Since their debut album in 2008, The Airborne Toxic Event have quietly made a statement in the Indie Rock world, and the major labels took notice. All At Once is their second album and their first on a major label. Thankfully it hasn’t changed what has made them great. 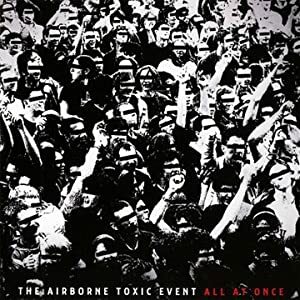 All At Once is exactly what we love about The Airborne Toxic Event, well written songs that build up and leave you wanting more. With tracks like “Numb”, “All I Ever Wanted”, and the title track “All At Once” it reminds us what well thought out music should sound like. 8. 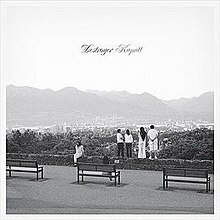 Destroyer – Kaputt: This album took me a little while to get used to. However, once it grew on me it took over like a virus and I couldn’t get it out of my head. Destroyer is one of those bands that are unique but at the same time so very familiar. Pitchfork said, “The production and arrangements evoke a narrow window of time– sometime between, say, 1977 and 1984, or between Chuck Mangione’s “Feels So Good” and Sade’s Diamond Life with stops along the way for Roxy Music’s Avalon and Steely Dan’s Gaucho.” That should tell you everything you need to know about the incredible sound that Destroyer has put together. I dare you not to get hooked on Kaputt. 7. Sleeper Agent – Celabrasion: When Sleeper Agent arrived on the scene little was known about this rock band from Bowling Green, Ky. Fronted by duo Tony Smith and Alex Kandel, they are able to bring modern rock and blend it seamlessly with classic southern rock with a dash of pop for good measure. At just 19 years old, Alex may be the next Haley Williams. Celabrasion is a great first effort and one of the most fun you can have in 35 minutes. 6. Atari Teenage Riot – Is This Hyperreal? : Were you secretly hoping that Atari Teenage Riot would get back together after they announced their hiatus in 2000? Me too. Is This Hyperreal? is a great return album. While it only features 10 songs it reminded us why we loved them in the first place. With guests on this album like Steve Aoki and Boots Riley, this album gives us a reason to believe that old bands still belong together and should never again leave us. 5. 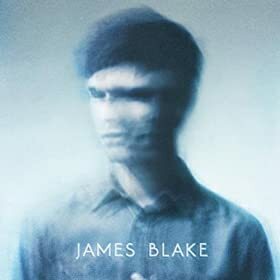 James Blake – S/T: When someone sent me CMYK in late 2010 I nearly lost my mind. The music was different. It was like nothing I had heard before yet it was organic. I instantly fell for James Blake’s spell. His latest self titled album, and hist first full length, gives you more of an insight into Blake’s world. If I could describe the music it would be a mix of electronic jazz with a lot of wanderlust thrown in for good measure. It’s eclectic and just something I couldn’t stop listening to once I got my hands on it. 4. Beastie Boys – Hot Sauce Committee Part Two: Remember when you were in six grade and you got your hands on your first Beastie Boys tape? You ran home from the record store, popped it into your tape player, and played that tape until you could rap along to that entire album. No!?! Just me!?! Beastie Boys will go down in history as one of the most influential hip hop acts ever to bless our ears with their sounds. Hot Sauce Committee Part Two is just another chapter to their already incredible career which has spanned over three decades and counting. This is the first time Nas has worked with the trio for the track, “Too Many Rappers.” Bottom line, this is a great album, from a great group of guys. 2. TV on the Radio – Nine Types of Light: Nine seems to be a common theme for this album as a whole. It was the number of days after this album’s release in which Bassist Gerard Smith had passed away succumbing to his battle with Lung Cancer. It was also the amount of seconds it took for me to fall in love with this album. TV on the Radio do a great job at complicating rock music and making it sound simplistic. Some of my absolute favorite tracks of the year come from this album. Tracks like, “Caffeinated Consciousness”, “Forgotten”, and “Will Do” showcase what real alternative music has been waiting for. This was tough because I wanted to make this my top pick. It was a hard to bump this down to number 2. 1. The Knux – Eraser: If you listened to my weekly radio show this year, you shouldn’t be surprised that this is on the top spot. The Knux have been dominating my playlist for months. They’ve been described as a mix between Lenny Kravitz and Run DMC which I don’t disagree with. If you’ve ever seen their live show, you would say they were nothing you have ever seen before. They bring an energy to each and every show. Whether they’re playing for 20 or 20,000 the energy is the same. Eraser is by far one of the most underrated albums of the year. Every track is a party in your ear and a fun experience. Go get this album! You will not be disappointed! Mastered for iTunes: What the hell does that mean?